Tampa, Fla. — 401 Channelside Drive tonight resembled 1901 West Madison Street in Chicago as the Blackhawks fans packed the building and began flexing their vocal cords in the pre-game. 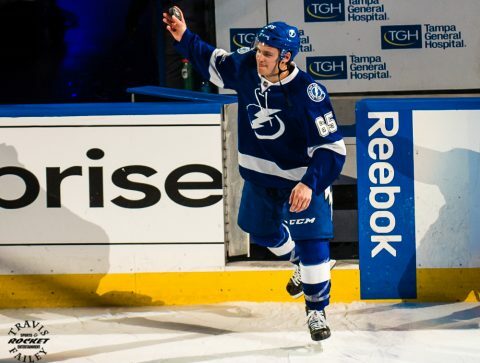 It would be the Lightning fans flexing in a frenzy as they exited Amaile Arena. To start with, just what Madison Street ordered, at just 1:23 into the game, Artemi Panarin sent a bleeder through Lightning goalie Andrei Vasilevskiy. 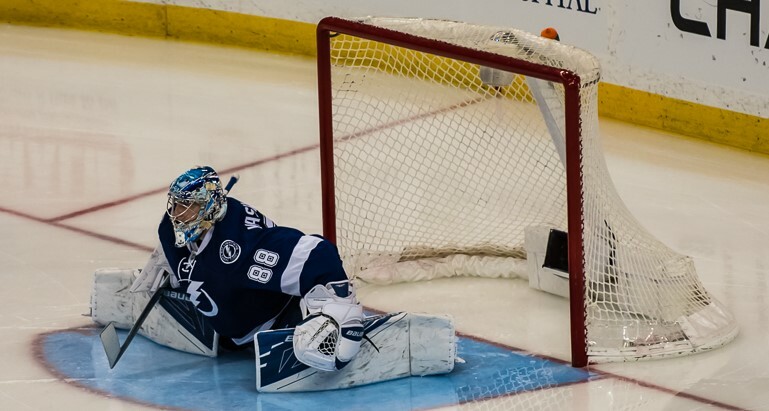 Vasilevskiy appeared to make the save but the puck squeaked through and slid slowly over the red line. The red clad Blackhawk faithful exploded into a frenzy. The Chicago fans grew to a crescendo with just under nine minutes into the second after Richard Panik gave his team a 4-1 lead. Point, turning poin, as it would be all Lightning the rest of the second period. 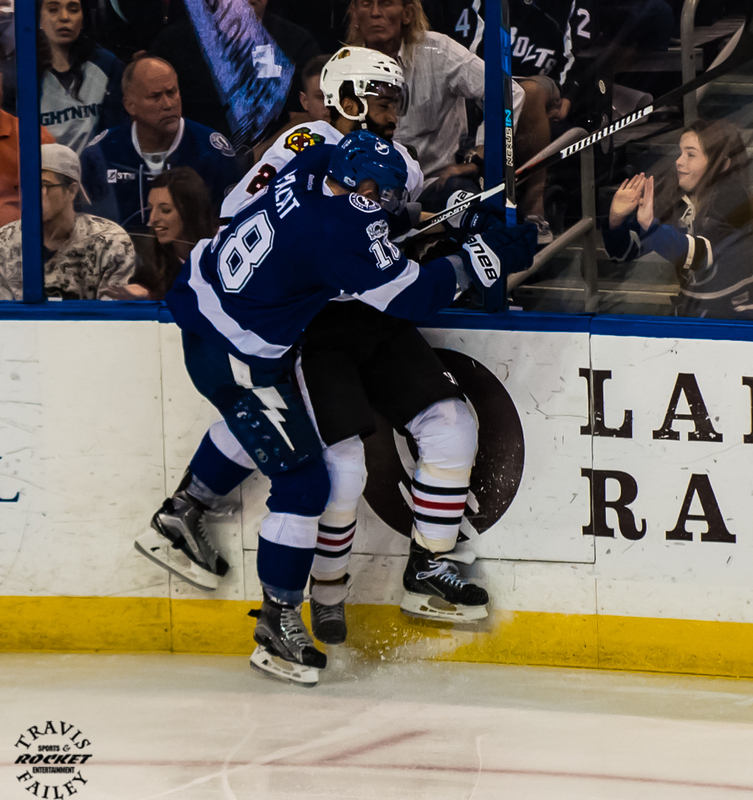 After the first Chicago goal to start the game, the Lightning quickly countered on the power play at 9:29. Ondrej Palat tipped in a Victor Hedman blast to tie the score at one. However Hawks’ Patrick Kane, less than a minute later, would put the Madison streetsters back up by one. 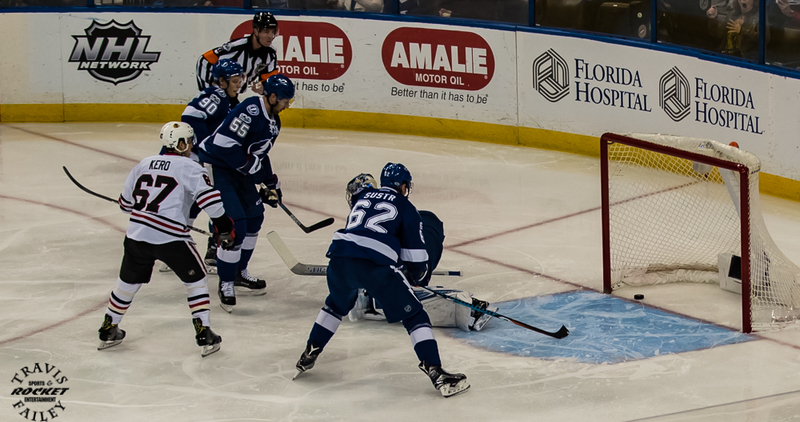 Tomas Jurco added a goal to give Chicago a two goal lead, 3-1 into the first intermission. After the the third Chicago goal, Andrei Vasilevskiy was pulled for Peter Budaj. Andrei Vasilevskiy would return to start the second period and stop 20 of 21 Chicago shots from that point. The second period was like a different game. I thought the Lightning had an extra step in the first couple minutes and shifted the play to dominate the Blackhawks. Out-shooting and out-scoring the Blackhawks in the period 11-10 and 3-1 respectively. 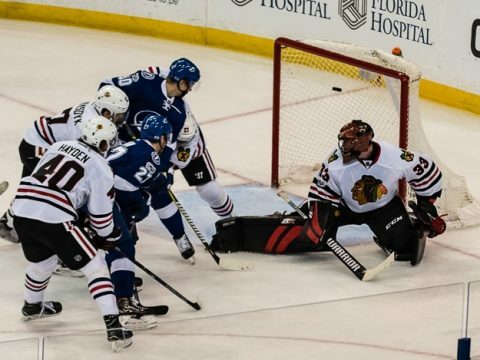 The Blackhawks did score first in the second to take what seemed like a commanding 4-1 lead as Richard Panik banged home his own rebound. The Lightning would then score three unanswered goals to close the period with the score tied at four and setting up the Yanni Gourde overtime heroics after a scoreless third period. the Chicago faithful. I could not see a red jersey that was not seated, the once standing, voicing crowd was humbled into submission. Entering overtime, the thought of the clutch, experienced Chicago players like Jonathan Toews, Patrick Kane, Marian Hossa, Artemi Panarin, Duncan Keith… you get it, would quickly knock one in and give Chicago the extra point. The Lightning after all, after being down 4-1, would be happy with the participation point. But to say I can score in overtime, Yanni Gourde picks up a neutral zone turnover and skates in to snap it by Hawks goalkeeper Scott Darling and this improbable, resilient Tampa Bay Lightning team adds two points and keeps the playoff drive alive. The hard work and determination by these young Syracuse Crunch transformed to NHL players continues to impress.